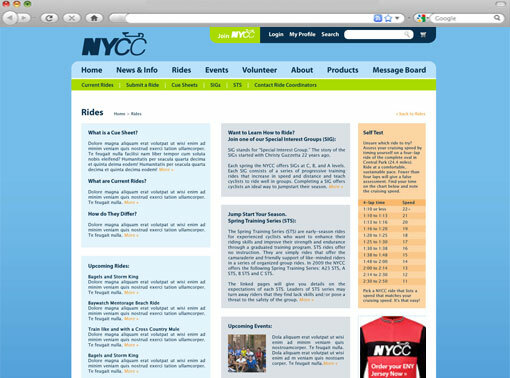 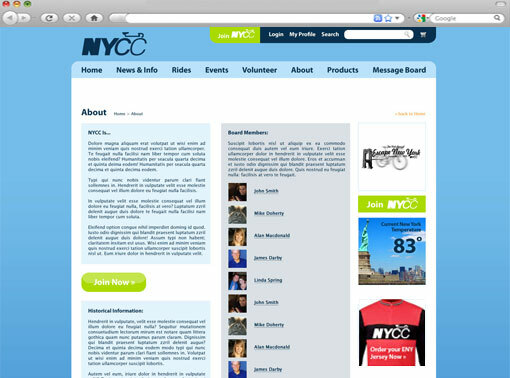 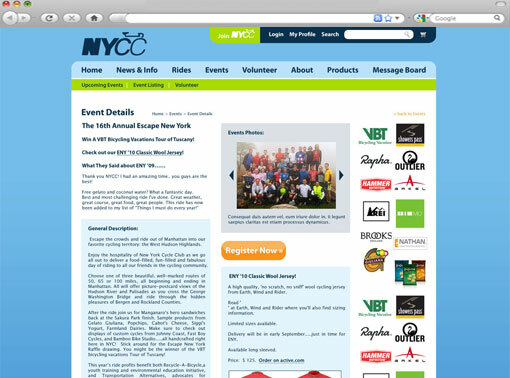 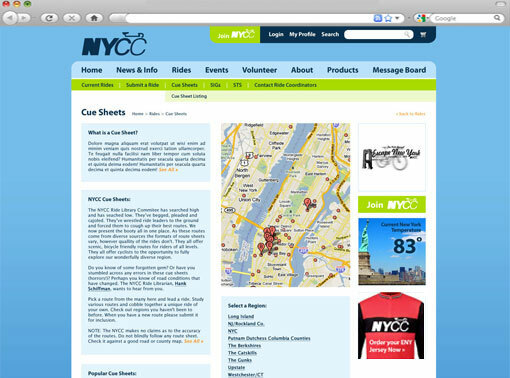 On the cusp of celebrating their 75th year, The New York Cycle Club moved forward with a badly needed upgrade to their eight year old website. 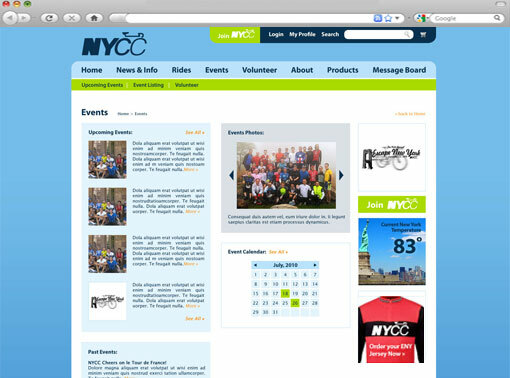 Winning an RFP, Studio K&M created the new site to be contemporary and infer activity through a colorful yet casual tone. 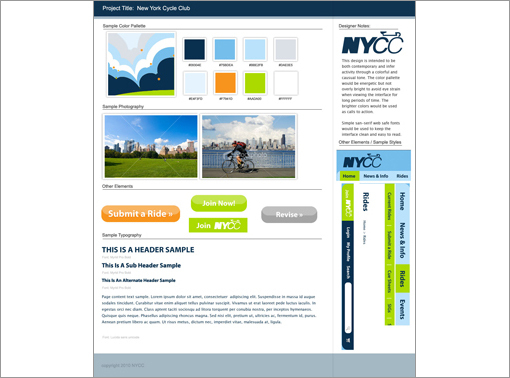 The palette was inspired by the outdoors – blue and white sky and green grass. 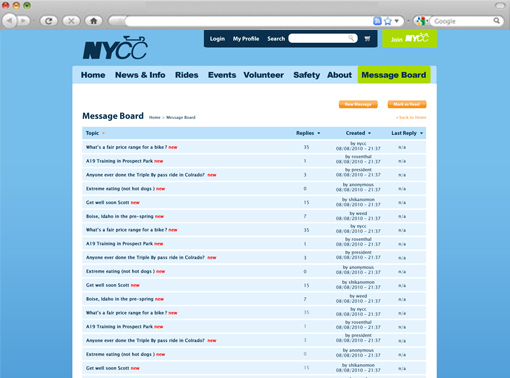 Orange and neon green serve as calls to action. 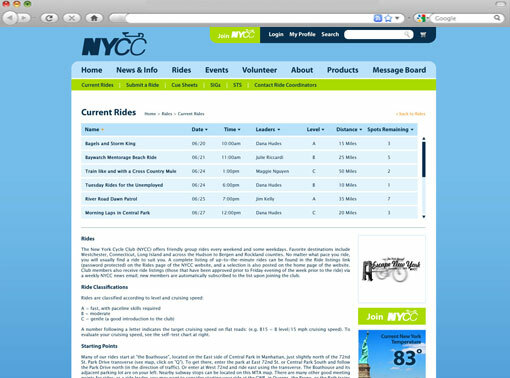 The site is energetic, but not overly bright to avoid eyestrain when viewing the interface for long periods of time. 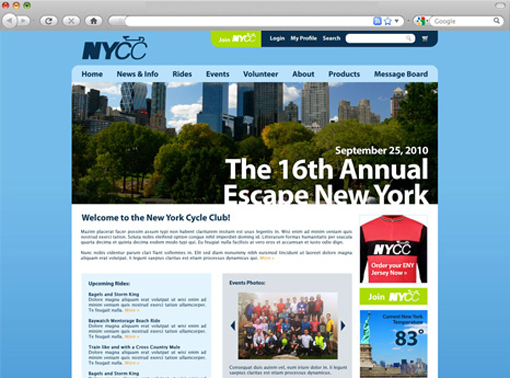 We chose a san serif web safe font to keep the design clean and easy to read.